Starting on the right is a 1976 440 SST with Polaris Indy front suspension. 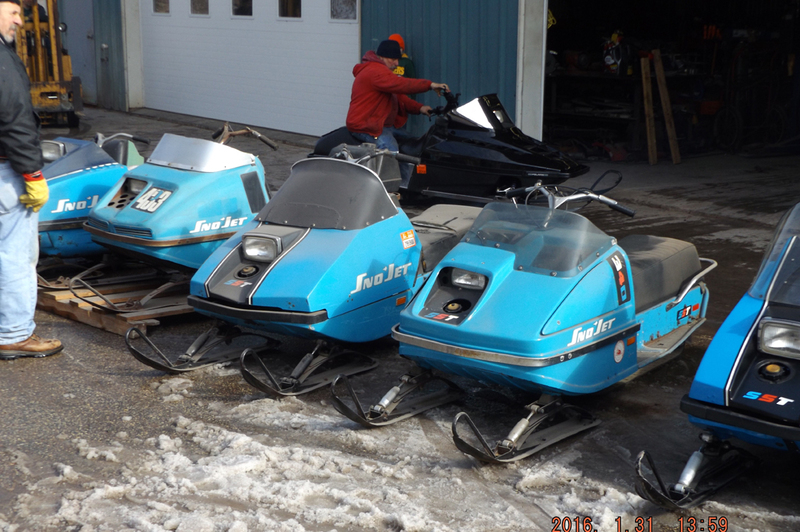 It has Polaris track and drivers and a 1972 Thunderjet fiberglass. 2nd one is a 1975 440 ThunderJet - restored. 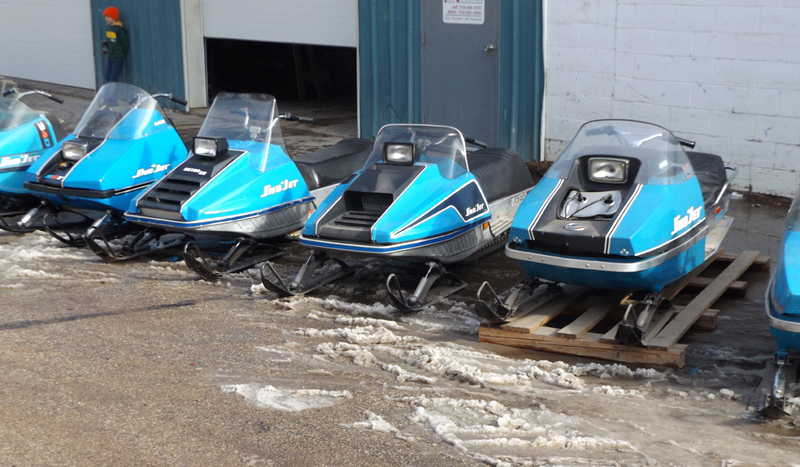 3rd one is a 1973 ThunderJet unrestored. 4th on is a 1974 650 SabreJet in restoration process. 5th one is a 1974 440 SabreJet. 6th one is a 1975 440 SST Free Air. 7th one is a 1975 Astro SS 440 restored. 8th one is a 1974 SST 440 restored. 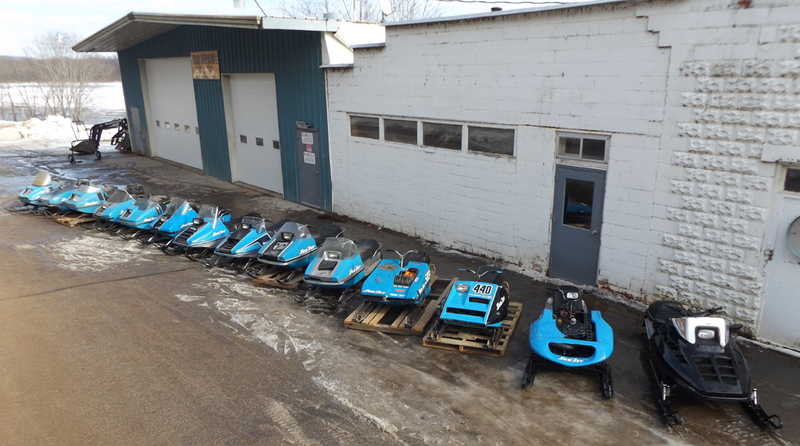 9th one is a 1973 SST 340 unrestored. 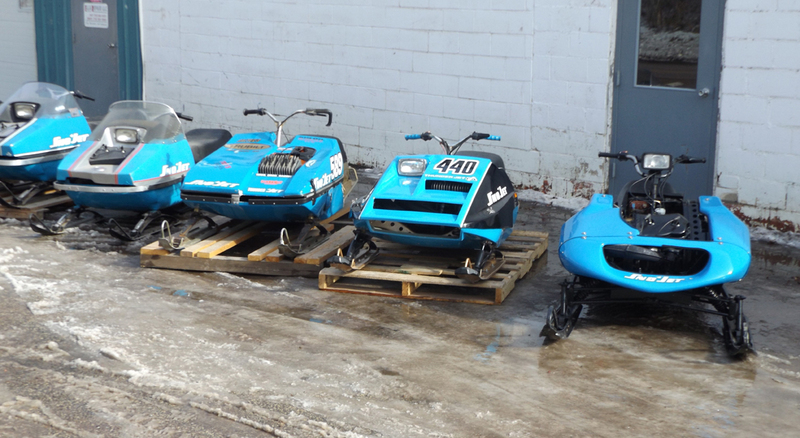 10th one is 1974 SST 340 unrestored. 13th one is a 1973 292 Star Jet unrestored and runs.